Hey all! It's time for my new(er) monthly series when some other lovely lady takes the reigns and does a guest blog post! This month it's Heather, from The Arbitrary Fox! Ironically I met her on Instagram, and I say ironically because we're probably the closest geographically to each other compared to other Insta friends we've made from all around the world! 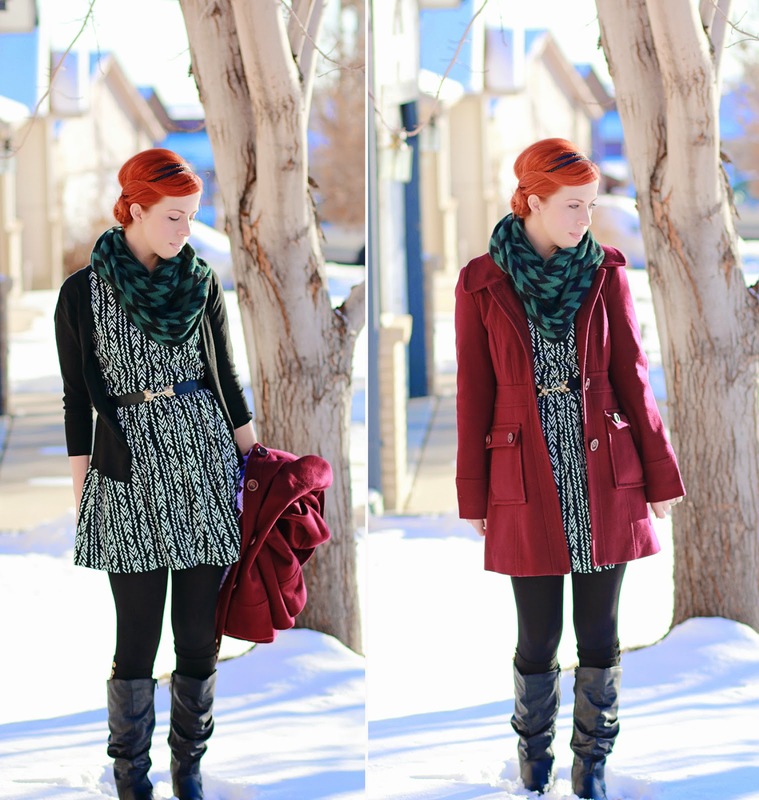 Given that I love her style, she's totally sweet, and she's a fellow Colorado girl I was thrilled when she accepted my invitation to guest blog for the month of December! Without further ado, here's her post! Hello there lovelies! I'm Heather from the blog, The Arbitrary Fox, and I can't tell you enough how excited I am to be a guest on this fantastic blog. Lauren and I found each other, like so many of you, through social media. It's been delightful getting to know her (she's such a sweetie) and follow her amazing collection of Bernie Dexter dresses and lovely skirts. Like Lauren, I live in the beautiful state of Colorado only I'm just a bit south, in Colorado Springs. I'm a proud stay at home mom of two kiddos and have a passion for photography, crafting, vintage decor, and fashion. I wasn't always into fashion. Not like I am today. As a matter of fact until recently when it came to fashion I always felt really clueless and lost. I'm what you might call a late fashion bloomer. I loved going shopping for clothes but at the same time it was always a let down cause nothing seemed to fit my style. Instead I was just going with the flow buying what was being provided by what ever the latest person told us was in... it really sucked. There were periods where I didn't buy anything new for a whole year. I went through a ton of styles (skater, goth, boho...) and nothing stuck. My daily outfits mostly consisted of jeans and fitted tees, nothing too special. 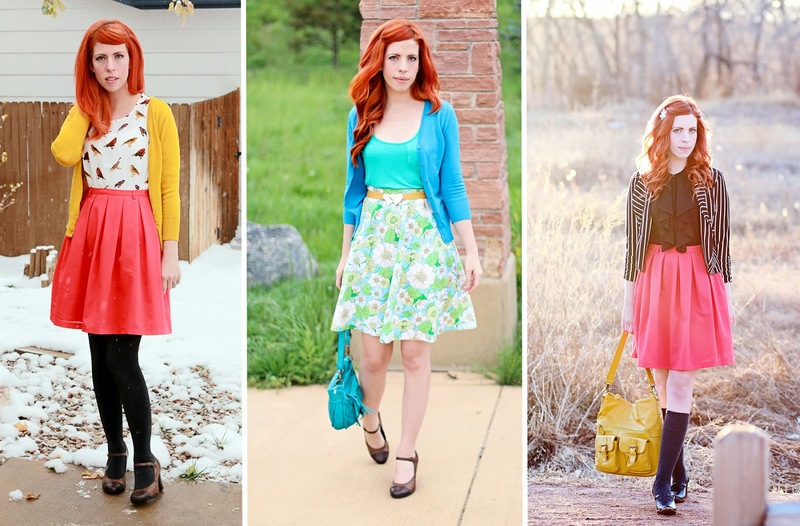 In April of 2012 (funny how I remember that) I stumbled across this site that basically changed my whole outlook on clothing.... yep I'm sure you guessed it, ModCloth. I won't lie, their prices were quite a shock and spending $127 on an outfit (dress, shoes, belt) for me was more than I'd ever spent at once on clothing... EVER! But it was the first dress I'd owned in ages that I truly loved! The whole site really pulls you in too. They made me feel like a million dollars, sending me free goodies and even using my pictures in their feedback email. Oh yeah, I was hooked. And thus my style started to bloom. Moving forward a couple years... I've discovered this whole amazing world of vintage style fashion with a twist of nerdy chic flair, which I suppose is what I would describe my look as. 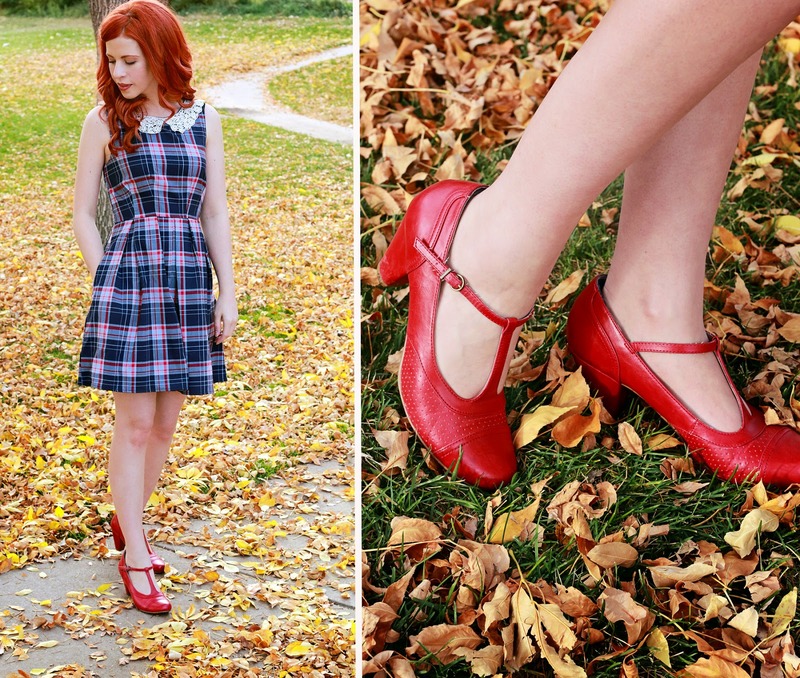 I love how empowered I've become through Instagram, ModCloth, and blogging. I've never been a very confident person but seeing all these amazing women in all their shapes, styles, and uniqueness share their look with everyone has really encouraged me to do the same! It's inspiring and exciting to see everyday ladies and their thoughts on fashion. I'm still working on critiquing my style but I love the direction it's always going in. 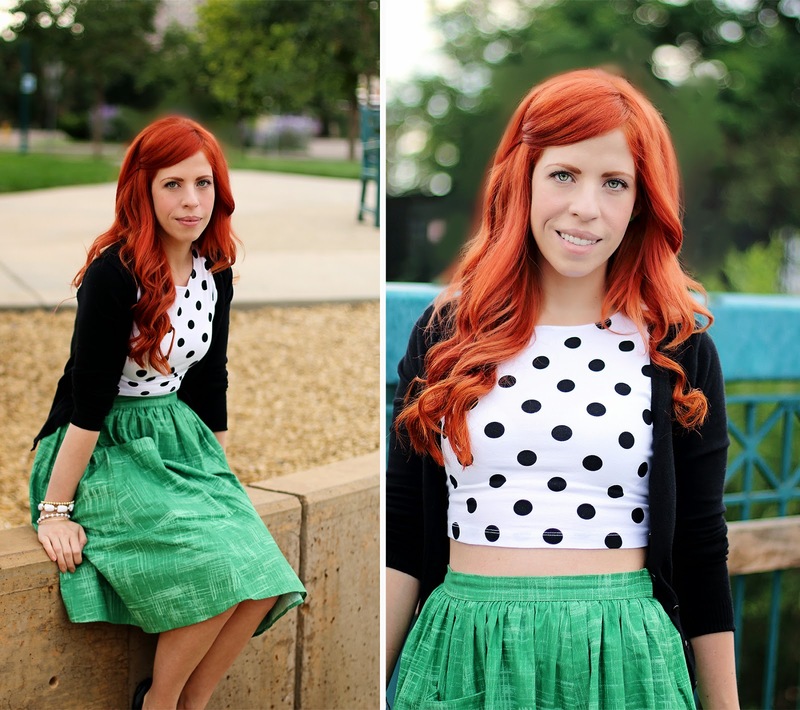 High waisted skirts and dresses have become the largest staple of my wardrobe. Whether its 80° or 30° it's likely I'll still stubbornly wear one or the other. And although my husband would disagree, one can never have enough cardigans! My shoe collection has definitely grown in the last year but my favorite shoes are my Chelsea Crew shoes. They are quite painful to break in but so worth it. Thank goodness for gel inserts! I really love elastic/ clinch waist belts. I have a small collection that's always growing. They really pull an outfit together. I prefer them over regular belts as I can wear them higher on the waist and when I sit down they breath with me. I don't currently have a favorite clothing maker because I LOVE soooo many but I am very known to haunt ModCloth, Ruche, Pinup Girl Clothing, Chicwish, and Forever21 regularly. I can so relate to this! ModCloth really does bring out the stylish side in some of us. Such unique selections and they really do treat their customers like royalty.